Or, an explanation of how a classical and Christian school can help parents to raise their children to love God with all their heart, soul, mind, and strength. We aim to educate in the classical model and from the Christian worldview so that, by God’s grace, every student may mature as a faithful bearer of God’s image and a living sacrifice of worship. For Evangel Classical School, the work of education embraces at least three things. First, we educate from the presupposition that Jesus Christ is Lord over all things. Second, we educate with the process of the Trivium. Third, we educate from the perspective of Christians within Western culture. We believe that Jesus Christ is the eternal Logos, the second Person of the Triune God. He created all things and in Him all things hold together. The entire universe springs from His wisdom, was made and is sustained by His power, and relentlessly serves to bring Him glory. All the truths of science, math, history, art, and language are His and cannot exist apart from Him. Therefore, everything we study in the world must be conducted with recognition of, and reverence to, His lordship. As the lordship of Christ extends over all parts of the universe, we believe that followers of Christ must be joyfully committed to the proclamation of His sovereign lordship in every arena of life: the home, the church, the workplace, the community, and to all the nations. Submission to Christ is the starting point for education. Therefore, no neutrality exists in education. After Adam’s fall, God set hostility between the offspring of the woman and the offspring of the serpent. As Christians, we cannot make any truce between light and darkness, truth and error, right and wrong, beauty and ugliness, belief and rebellion. This is because we are not permitted to worship any other lord. We believe that God purposed for men to bear His image in every relationship and in all their responsibilities, and that they can only do so truly and joyfully as servants of Jesus Christ. 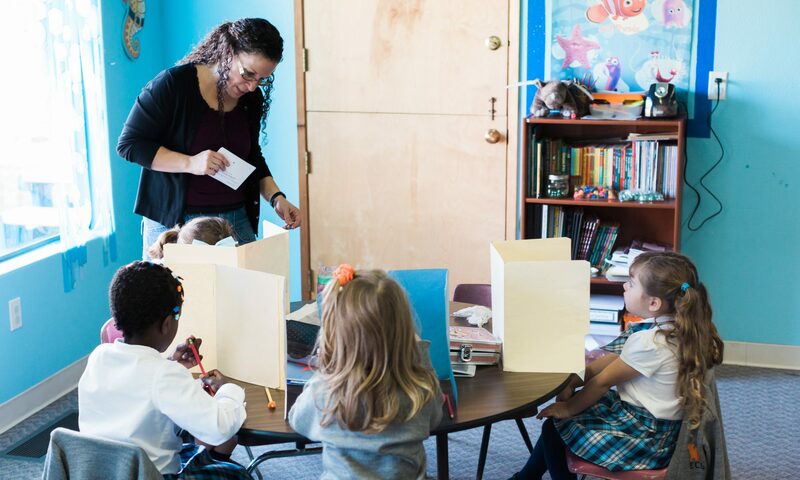 We utilize the time-tested process of classical education and there are two ways to consider our approach: Learning Development and Developing Learning. The process of classical education draws on the natural strength of students in various stages of development according to the Trivium: Grammar, Dialectic (Logic), and Rhetoric. The first stage of education involves teaching children the basic elements (the grammar) of many different subjects and roughly corresponds to the ages of those in elementary school. During this stage, children naturally and easily absorb information, often through enjoyable group chants and songs. Students in the grammar stage may learn some information that they do not understand fully but, because Christ is Lord, they can know the objective truth truly. The second stage of education involves teaching students through debate. It includes training in formal logic so that they can formulate reasonable arguments and, perhaps even more importantly, identify flawed arguments, starting with their own thinking. This stage occurs around the middle school age when young people are prone to argue anyway. Students in the dialectic stage learn how to argue well, with Christian conviction, consistency, and humility. The third stage of education involves teaching the maturing person to express himself, both in speech and in writing. Building on the grammar and the logical relationships of the various subjects, he is taught to communicate with poise and winsomeness in a variety of contexts and across multiple disciplines. Students in the rhetoric stage are prepared to give a reason for their Christian hope with gracious, faithful, salty speech. The process of classical education is not merely the transfer of data into the student’s brain. In order to help the student mature, the method must involve training the student how to think and giving him the tools to continue learning for the rest of his life. In other words, we desire to make disciples who not only know the truth, but who also love the Truth and are equipped to live out their faith for sake of future generations and in many different settings. We stand downstream in the river of Western civilization. All cultures are not created equal because all cultures develop from worship and, in God’s providence, the story of the worshippers of God and the shape of Western civilization are connected. Christ’s disciples spread the Evangel from Jerusalem, Judea, Samaria, and to the ends of the earth in a north and westward direction. The Evangel of Jesus Christ alone has the power to transform persons and peoples, which it has done and will continue to do. So our 21st century, Western culture is not a product of the present, or even the recent past, but of the many previous centuries of Christians who sought to apply Scripture’s principles to all of life. Education that honors God must thankfully continue the work of His people throughout history and transfer God-honoring culture to following generations.